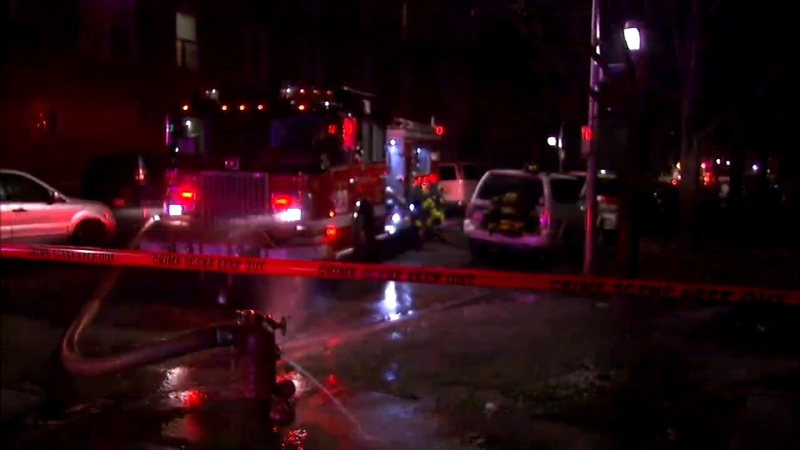 7 dead after apartment fire in Chicago. Gray Hall reports during Action News at 9 a.m. on August 26, 2018. CHICAGO -- Officials say a fire in a Chicago neighborhood has left eight people dead, including six children. Fire Commissioner Jose Santiago told reporters that one of the children who was killed in the fire early Sunday was an infant. The cause of the blaze hasn't been determined. Officials say firefighters were called around 4 a.m. to a house fire in the city's Little Village neighborhood. At least two buildings caught fire, one of them a coach house. Chicago Fire Department spokesman Larry Merritt said those killed were all from the same residence. He says investigators have not found working smoke detectors.